Nowadays it is very important to ensure that your computer or mobile devices are protected. There are many ways to protect your devices but the common one is using passwords. Windows 10 allow how many other options like unlocking the device using gestures, security PINs, and passwords. It is also important to ensure that your password is protected and that should not be shared with anyone to ensure the safety of your device and data contained by the device. 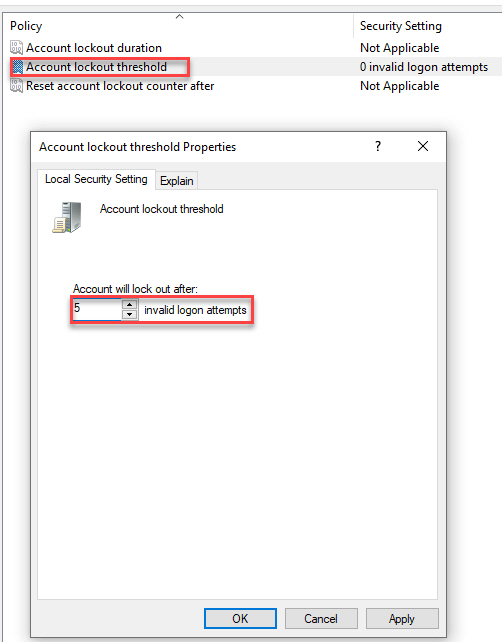 There is an important feature in Windows 10 where you can set the account Lockout threshold so that account will automatically get locked after specified wrong attempts. This will ensure that your device is safe from unauthorized access. 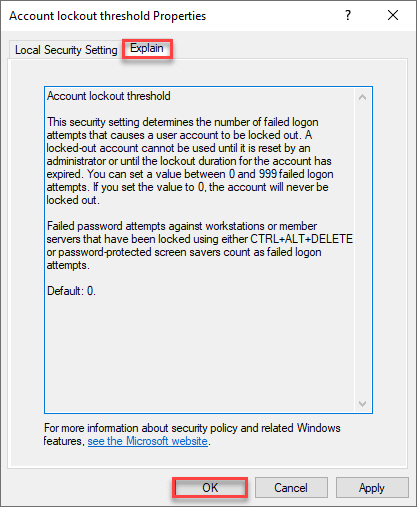 To set up account Lockout threshold follow the following steps. 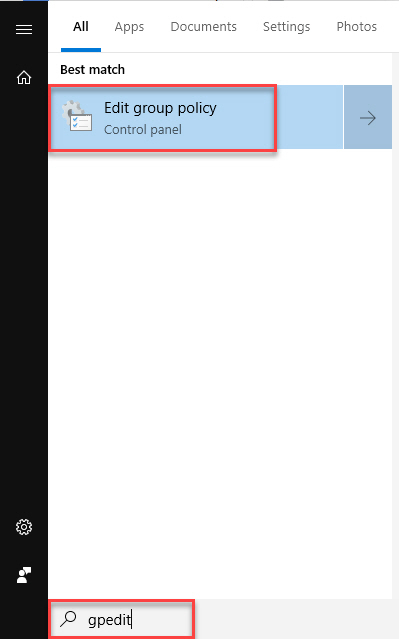 Click on the start menu and start typing gpedit, click on edit group policy on top. 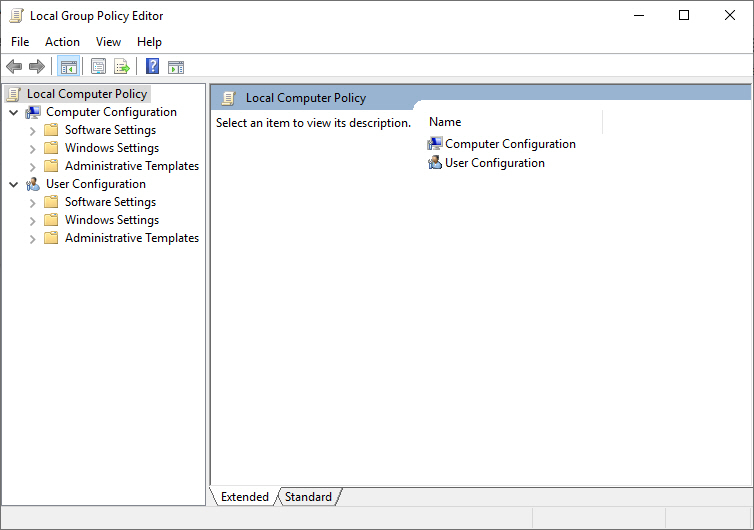 This will open Microsoft local group policy editor on your Windows 10 machine. 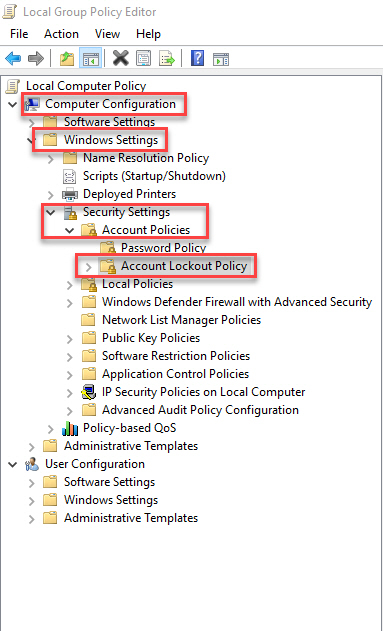 In Computer Configuration, double click on Windows Settings, then click on Security Settings and then click Account Policies. Under account policies, click on Account Lockout Policy. Windows Settings–>Security Settings–>Account Policies–>Account Lockout Policy. On the right side of the windows, you will see three policies. Double click Account lockout threshold to configure account lockout threshold policy. Enter the value of invalid login attempts after that account will be locked. Click on the Explain tab, to see the details how will this policy work. Once you have configured your account will be automatically locked after specified wrong attempts.